Transportation Planning | Transforming Leaders. Transforming Organizations. Producing Breakthrough Results. Through TransPro’s strategic planning process 7 Steps to Success!, organizational success is clearly defined and then a strategy is developed to achieve it. What - does success look like this year in pursuit of the organizational vision? How - will we work this year on various activities to deliver that success - and spend money consistent with those activities? Who - is responsible for the delivery of those activities - and who owns the metrics that monitor progress? TransPro’s 7 Steps to Success! strategic planning process lights the path from an effort driven organization to one focused on results that matter - aligning elected leaders, department heads and employees with taxpayers interests and customer value. 7 Steps to Success! clearly and quantifiably identifies success, connects individual work activity towards achieving that success by developing an aligned performance measurement system that taxpayers, customers and employees can monitor the march to the defined Success Moment. Conscientious communities recognize that transit agencies are in the business of mobility with the goal of moving people from point A to B. TransPro helps maximize transit accessibility through smart approaches to the first/last mile mobility options. Webinars, Half-day and Full-day onsite workshops that have the potential to increase transit ridership by providing a safe, healthy means of transit access to populations living with economic or geographical mobility challenges. TransPro delivers actionable plans for establishing, maintain and measuring the success of a bike program. 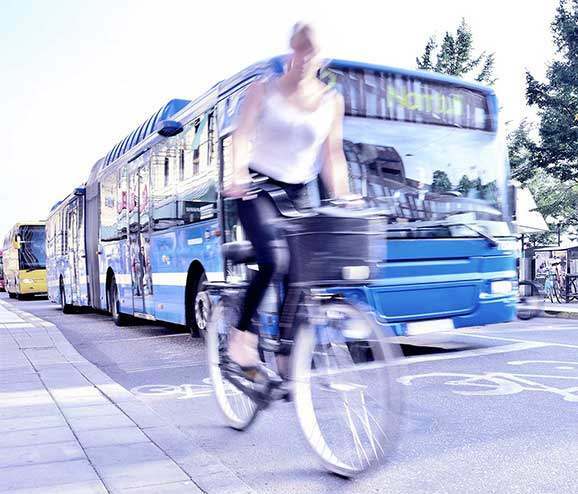 TransPro provides agencies with practical studies, best practices and strategic plans for bicycle linkages with transit. TransPro supports the intersect between regional and community transportation resources and unmet needs by providing planning, advocacy, outreach and policy development—integrating multiple modes of transit and transportation into a single solution for customers. TransPro transportation planners help evaluate, prioritize and implement strategies that will design the future of transportation for your community today that will meet the needs of tomorrow. TransPro supports the intersect between regional and community transportation resources and unmet needs by providing planning, advocacy, outreach and policy development. Across the county, TransPro has helped transit leaders design and execute customer growth strategies. TransPro Communications Team is skilled in public transit and organizational communications, news media and marketing with a demonstrated ability to plan and manage complex projects; and work effectively with team members and senior executives under tight deadlines. TransPro’s highly experienced transportation communications team will enhance corporate internal and external communications, public relations, customer and constituent relations; and advertising development and buying.